1. 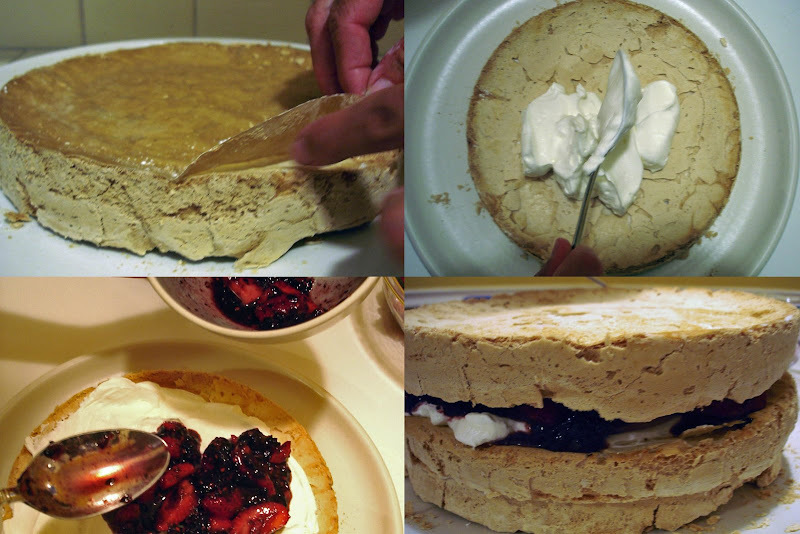 They begin the recipe with: "By its very nature, a Pavlova is a little wild." 2. 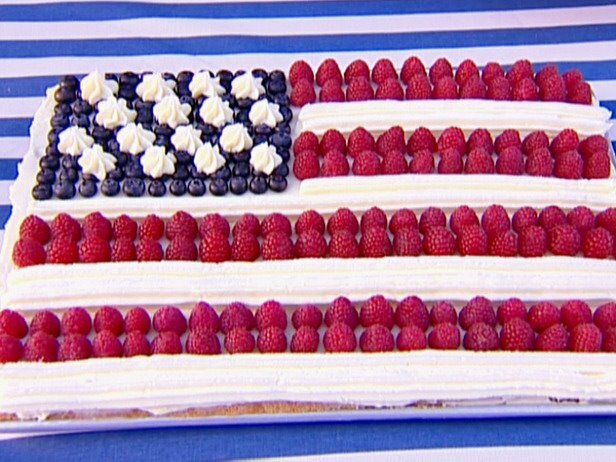 It seemed like a perfect 4th of July dessert (because it's red, white and blue, not because it's named after Russian ballerina Anna Pavlova or that it's an important part of the national cuisine of both Australia and New Zealand). 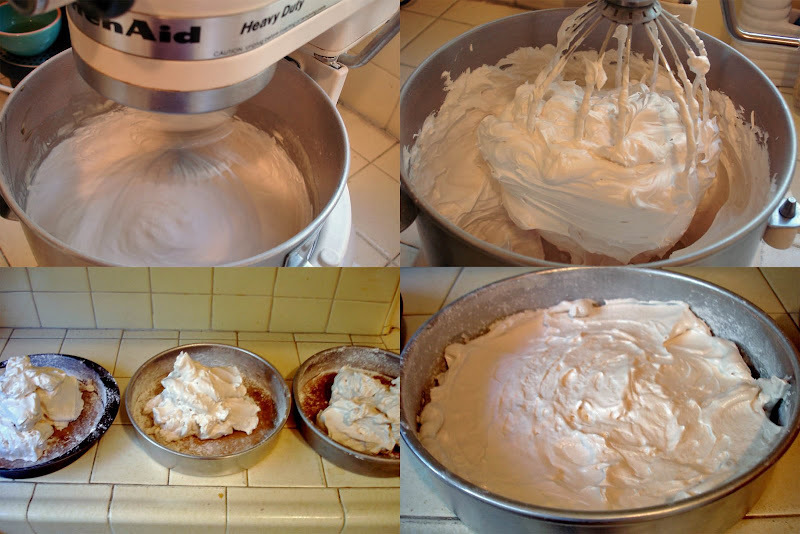 And while we're thanking my mom, thanks again for the second-hand KitchenAid, as this meringue called for about 7 minutes of beating, 5 of which were on high speed. The mixture was like nothing I'd ever worked with before -- almost like a sturdier, brown sugary version of marshmallow fluff. Check it out--mother/daughter mashing up some berries. We whipped the cream and then all that was left was the assembly. Not exaggerating, I think this was my favorite dessert we've made to date. It was so airy and refreshing yet chewy and completely satisfying. I think my mom sums up our efforts brilliantly. Nice FAQs! The Pavlova was delicious! that looks/sounds SO GOOD! 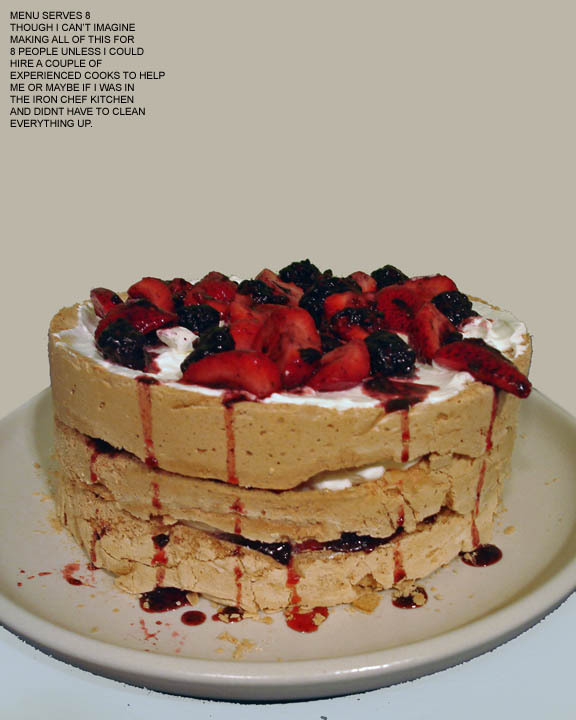 kind of like angel food cake but meringue-y?? one more question. is that you in the black and white striped shirt?? that hair does NOT look like yours. YES, mare. that's my hair. why doesnt it look like mine? b/c i combed it? Thanks, love the blog. Also love the look of this dessert. Def. going to try it. Respect. 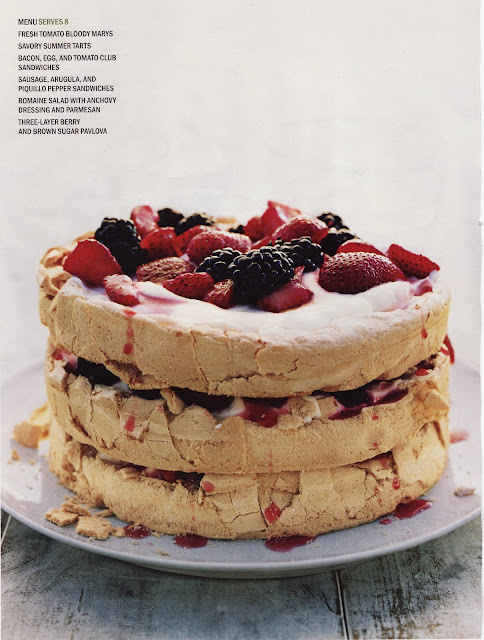 That is one hell of a pavlova. I have that same apron! It helps me pretend we are synergistic!